It's more than a website. We're celebrating our 15th birthday with a huge offer. Purchase one of our industry-leading websites to receive a free suite of add-on products*. Real Estate Webmasters is turning 15! Purchase a new website to receive 3 years of REW products for free, including our revolutionary branded IDX app (included 3 years of app Saas) and our entire collection of website add-ons (up to $21,920 USD in value)*. This offer runs only from April 1-30, so don't wait. Don't miss the celebration. Offer ends April 30th, 2019. Receive up to $21,920 USD retail value in free REW products*. For 15 years, the REW platform has helped agents thrive. Every website is backed by REW CRM, our fully responsive real estate CRM and CMS. Your own branded app. Free*. 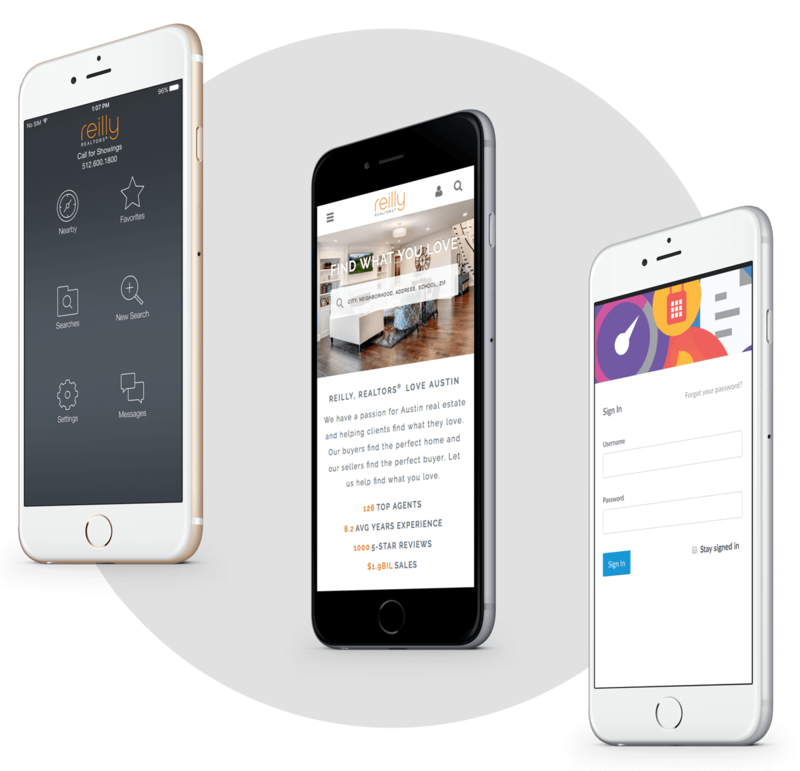 REW IDX App offers an unparalleled mobile search experience on any Android or iOS device—completely branded to you. Augmented Reality search (on iOS) - Just point your phone camera at any home for listing info. We will build your app for free and include 3 years of app Saas (typically $300 USD/month)—a $15,800 USD value. All yours for 3 years*. With the purchase of a website, you'll also receive 3 free years of our powerful website add-ons*. These add-ons typically retail for $6,120 USD. Don't wait. Our 15th Anniversary offer ends April 30, 2019. Contact us now to receive up to $21,920 USD in free REW products and services* and a member of our team will reach out to talk. Terms and Conditions below. The Customer agrees to purchase a Vision or Discover site for the set-up fee of $5,000 USD. Site must be purchased between April 1 and April 30, 2019. The Customer agrees to a 3-year SaaS contract at $499 USD/month for the first 25 users. Each additional user is priced at $20 USD/month. SaaS begins immediately with dev site installation. 100% discount on the $5,000 USD set-up fee for the REW Branded IDX Mobile App for Android and iOS and $300 USD Monthly App SaaS fee (up to 25 users) for 36 months. Additional users are priced at $5 USD/month. 1 REW Summit + Inman Connect Las Vegas Full-Access Ticket. The Customer understands that the Inman Connect Full Access component of the “Combination ticket” does not include access to: CEO Connect, CMO Connect, Indie Broker Summit, Hacker Connect, or the Innovator Bash. The Customer understands that conference registration may be transferred to another REW Customer by notifying us in writing at marketing@realestatewebmasters.com. Transfers past June 2019 subject to a $150 USD transfer fee. REW Text (One Bundle) discounted at 100% for up to 2,500 text messages per month. Additional blocks are priced at $50 USD/month per 2,500 text messages. INRIX Drive Time discounted at 100% for up to 25 users. Additional users are priced at $2 USD/month per. CMA Tool discounted at 100%. The 36-month period in which modules and/or App SaaS discounted at 100% commences with the execution of this contract. The Customer is responsible for any Google Maps usage of some products like Drive Time, CMA Tool, and Get Local. All third-party charges associated with data access are to the account of the client. REW reserves the right to replace a product or provide a credit of equal value with 30 days notice. This offer is non-transferable and cannot be combined with any other promotion.